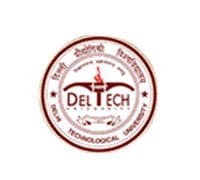 The Delhi Technological University (DTU), formerly known as the Delhi College of Engineering (DCE), recently completed its hundred days of being accorded the university status. It is now all set to root its foundation in its future endeavors. The National Network of Education (NNE), DTU Vice Chancellor Prof. P.B. Sharma discloses some of its immediate agendas, announcing the beginning of new programs including dual degree programs and integrated Master's programs in areas of relevance to our country in Medical Engineering, Aerospace Engineering, Bio-informatics, Clean Energy and Environment Technology, New and Smart Materials and Nano-Technology. The VC Told that DTU's board of management has already given its nod to construct a multi-storey academic block; a teaching block housing ICT enabled lecture theatres and additional hostel facilities for both boys and girls. A finishing school in partnership with the industry and alumni to further boost employability of their graduates is also in the wish list of the VC. A Staff College for Tech faculty development will also be set up in DTU to support the Faculty Development mission.